The processing delays of visa applications by Immigration NZ is creating chaos for both employers and migrants. If you employ migrant workers, please ensure their visas are current. 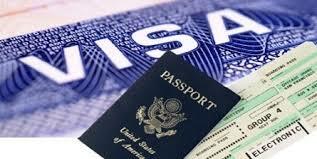 If visa is within three months of expiry, preparation for renewal is necessary which involves both employer and migrant worker. You need to check if a migrant’s role needs advertising and listing with Work & Income. Remember, NZ Residence holders and Citizens have first right for the position. The Immigration Minister, before Christmas conveyed that changes were being introduced which will impact on the process for migrants to gain visas. Employers will need to gain Accreditation to prove you are fit to employ a migrant. It is envisaged that this could take 4-5 months to gain based on processing time by Immigration NZ. The Government is also reviewing salaries that should be paid to migrants. The writer has been a submission contributor to the intended planned changes. You need to start planning now. Book a Free pre WOF* inspection for your business or organisation. The organisations ability to confidently employ migrants into the future. * This pre WOF inspection precedes our full Business WOF service.